In a major development, the CBI today submitted before the Supreme Court that conspiracy charges needed to be restored against senior BJP leader L K Advani and 19 other leaders of the party and the RSS. "The impugned order of the Allahabad High Court upholding the lower court order dropping the charge of conspiracy ought to be set aside", Additional Solicitor General N K Kaul said commencing CBI's arguments in the plea challenging dropping of charges against BJP and RSS leaders. "In any case 120B should go on and they have to be tried somewhere", Kaul told a bench of justices P C Ghose and Rohinton Nariman. During the hearing Justice Nariman asked what was the way to get over the technical defects on the ground of which the charges were dropped. "Assuming that charges are going to be reviewed, how do you get over the technical glitch?" Justice Nariman asked CBI. 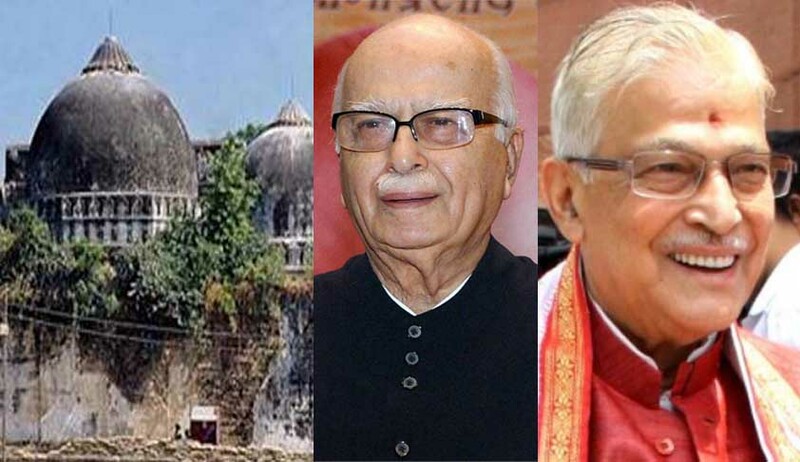 On March 6, the date of earlier hearing, the court had asked CBI why conspiracy charges cannot be restored against BJP and RSS leaders L K Advani, Murali Manohar Joshi, Uma Bharti, Kalyan Singh, Vinay Katiyar and 15 other leaders . It had also hinted that it would club the two separate hearings going on in Rae Bareli and Lucknow courts. CBI had charge sheeted Advani and 20 others under sections 153A (promoting enmity between classes), 153B (imputations, assertions prejudicial to national integration) and 505 (false statements, rumours etc.circulated with the intent to cause mutiny or disturb public peace) of the IPC. The special court had dropped framing of charges by the Lucknow court on a technical ground that the court was not set up as per a proper notification by the government and there was no concurrence of the High Court. CBI challenged in SC on May 21, 2010 the order of HC dropping conspiracy charges. The court is also hearing a separate petitioin filed by one Haji Mahboob Ahmad, President of Mahafiz-Masjid-Wa-Maqabir’ and Muddai BabriMasjid which claimed that with the BJP regime and a “participant” Rajnath Singh as Home Minister, CBI, the original petitioner against dropping of criminal conspiracy charges may not press for its restoration.